Alexander "Skinny" Winkler has been involved in music since his early school years, and got involved in production over 14 years ago. He has a bachelors degree in Economics from the University of Colorado, Boulder. 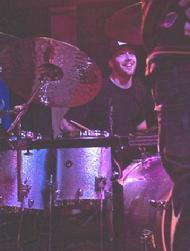 Skinny has been a member of several bands in the Denver area, and has played for many solo acts playing both drums and bass. His experience on the stage gives him the ability to communicate with musicians and entertainers well, and allows him to alleviate complications or problems before they happen. Skinny has been actively running sound and lighting for several years on systems small and large. Steve Franseen, owner of SFA, LLC, comes from a musical background. He has over a decade of live performing experience, playing both drums and bass. In 2002 Steve began working at a local music retail outlet, where he gained an invaluable understanding of cutting edge pro audio gear, practices, and principals. In 2004, he gained further expertise in the field of audio recording, as owner/chief engineer of his own recording studio, M.W.T.M. Audio. To date, Steve has worked on over seventy recorded projects from nearly every musical genre. Steve feels that the professionalism, and attention to detail he gained in a studio environment greatly enhanced his ability to work effectively and mix in a live setting. Allen White owns Blue Velvet Media, which is a valuable partner with SSS Productions. 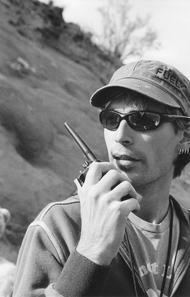 Allen is one of our top audio specialists. Allen has technical training and certification in recording arts and sciences. 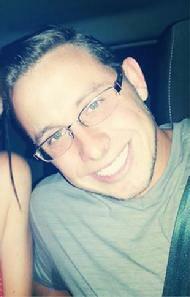 Cole Kegans, owner of JC Lighting, is the resident millennial for SSS Productions! When he is not texting, Cole has been our go to lighting designer since Summer 2014. He has been working with lighting since his freshman year of high school when he joined his school's theatre crew. Cole brings a new passion to the lighting department at SSS as well as rounding out the Sound, Staging, and other aspects with the SSS team. Things are certainly "bright" for this LD so give us a call and let him design your next show. Sean Murray's company, Volition Holdings, is a vital asset to SSS Productions. He is the go-to guy to simply "get the job done". Sean has been gathering experience behind mixing consoles, and is quickly becoming a key element of any successful lighting show. When Sean puts together a lighting plot- it always works as planned. 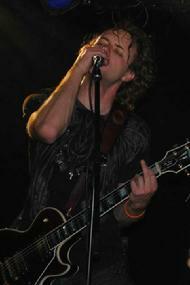 Sean has many years of experience on stage, as the lead singer of the band Rightfully Accused. 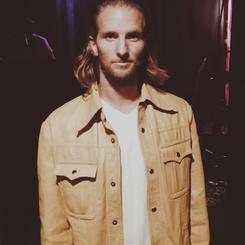 He is an accomplished guitarist, and singer-songwriter. 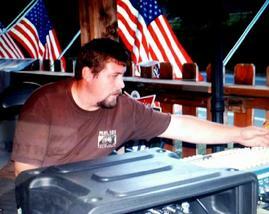 Jacob Signer, Owner of JS Audio, has several years in the sound/musical equipment industry. Jacob continues to be the buyer for Colorado's largest independent music instrument retailer. With yearly trips to NAMM, and constant contact with industry leaders and representatives, Jacob stays on top of the latest technology and equipment. Brian Svoboda, owner of Before the Bulb LLC, is much more than just the best dressed member of the SSS team. Brian has extensive experience on and off the stage, and is quickly proving to be an integral part of any high-end production. 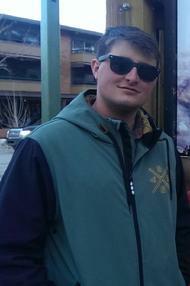 Eric Odlin left the tranquility of Jackson Hole for the city of Denver to immerse him self in the areas music scene in late 2011. He immediately found SSS, and has been a great addition to the team. Born in Maine and raised on the ocean, he comes from a family of third generation commercial fisherman. As a lifelong artist and drummer, Eric brings a good attitude and strong work ethic with him to every gig. With an eye for detail, a good ear, and a creative outlook, he continues to sharpen his sound and lighting skills on every event. He has over eight years experience in and around live music, performing with the bands Yeti, Eargazm, and The Forgottones in Wyoming, Whiskey Throttle in Colorado. Eric's company, Epic Craft LTD, been a part of over 60 events with SSS over the past year alone. He has been an avid snowboarder for 20 years and is heavily involved with the ski and snowboard industry.